(NORTH BAY, ONT.) – The Canadore Panthers will be taking on the Loyalist Lancers in women’s volleyball, men’s volleyball and men’s basketball this weekend. 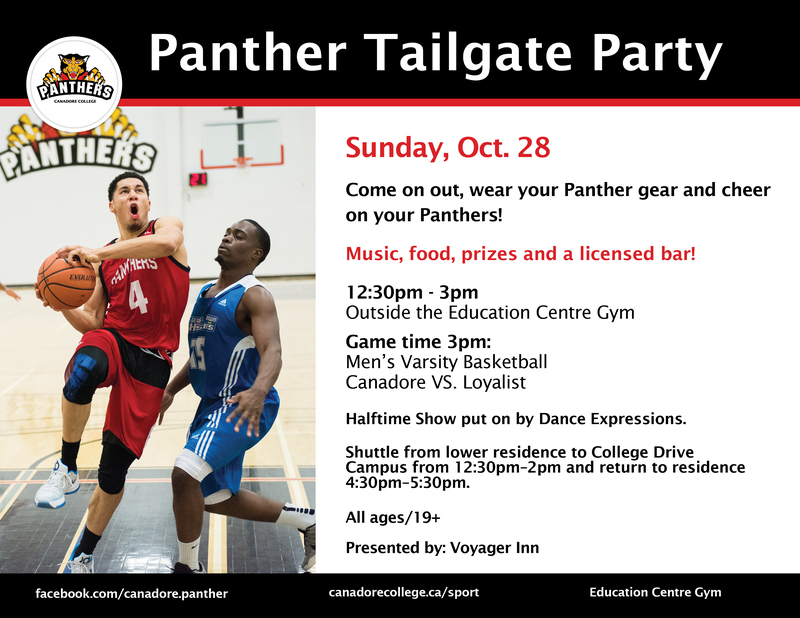 At Sunday’s game, Panther Sport and Wellness and Canadore Students’ Council will be hosting an all-ages tailgate party, open to the entire community. Patrons can take part in prize giveaways and games, as well as enjoy free coffee and hot chocolate, popcorn and DJ music with a licensed pre-game area. Dance Expressions will also perform a half-time show at the basketball home opener. WVB Canadore Panthers vs. Loyalist Lancers – 1 p.m.
MVB Canadore Panthers vs. Loyalist Lancers – 3 p.m.
Panther Tailgate Party – 1 p.m.
MBB Canadore Panthers vs. Loyalist Lancers – 3 p.m.
All events take place at the Education Centre gym, with some tailgate activities taking place outdoors. Admission to varsity games is free, and complimentary popcorn is served to all game enthusiasts. As a part of the college’s food insecurity initiative, patrons are encouraged to bring non-perishable food items to games to help stock the shelves of the North Bay Food Bank and the Canadore College Emergency Student Food Bank.